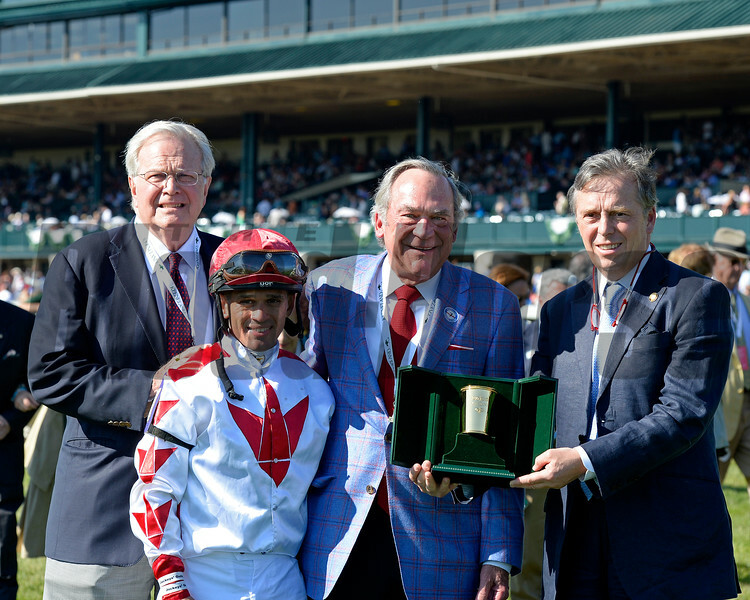 PRES: l-r, John Adger, Javier Castellano, owner Peter Fluor, presenter Guy Henderson. Collected with Javier Castellano wins the Lexington (gr. III) at Keeneland.